The City & State New York.com published the 100 Most Powerful People in NYS 2018. The following is a truncated list of mostly African-Americans who made this power elite: 1) Gov. Andrew Cuomo; 2) Donald Trump; 3) Carl Heastie, NYS Assembly Speaker; 8) Alphonso David, Counsel to Governor Cuomo; 11) Cynthia Nixon; 13) Andrea Stewart-Cousins, NYS Senate Minority Leader soon-to-be Majority Leader; 14) George Gresham, 1199 SEIU; 20) Mayor Bill de Blasio; 33) John Banks, Real Estate Board of NY; 41) Ruben Diaz, Jr., Bronx Borough President; 46) Bill Thompson; 55) Wayne Spense, President, NYS Public Employees Federation; 68) Patrick Jenkins, Patrick Jenkins & Associates. NEWS ROUNDUP: Hillary Clinton will keynote the NYS Democratic Convention on Wednesday, May 23. Former Secretary of State and 2016 Democratic candidate for the US Presidency, Clinton will endorse Governor Andrew Cuomo’s third-term candidacy. Many top Democrats announced support for NYC Public Advocate Letitia James Primary run for the NYS Attorney General’s Office. She distanced herself from the progressive Working Families Party, stating that her interest is solely in the Democratic Party……. 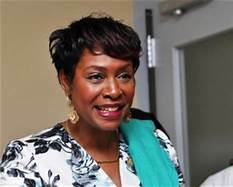 On May 21, African-American Buffalo Democrat Leecia Eve, former aide to Hillary Clinton and Governor Cuomo, entered the AG race……. The former rogue Democratic Independent Conference (IDC) members and senators who caucused with the NYS Senate Republicans, face opponents in the Primary. NYS Democrat Senator Allessandra Biaggi is running against Jeff Klein, erstwhile IDC leader……. Is Brooklyn-based NYS Democratic Assemblyman Walter Mosley exploring a transition to the NYS Senate? Congrats to Ms. Stacey Abrams, who won the Georgia Democratic Primary on Tuesday for Governor. 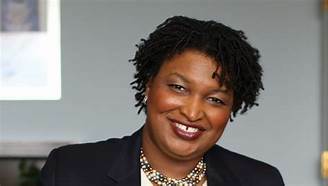 A former liberal statehouse leader, she is Georgia’s first Black nominee for Governor. Can a Black woman win in the Deep South? Harlem Democrats hosted a fundraiser for Brooklyn Congresswoman Yvette Clarke at Londel’s Restaurant, which was attended by most of the uptown political grandees. Yvette Clarke has been a member of Congress since 2007. Before that, she was a NYC Councilwoman. Her mom is Una Clarke. She faces a Primary challenger, Adem Bunkeddeko, who is a well-funded upstart with supporters like Vernon Jordan and former NYS Lieutenant Governor Richard Ravitch. Bunkeddeko is a Harvard B-school alum. More than 594 Black women are running for elective office this year, according to the Black Women in Politics organization, which published a recent report, “The Chisholm Effect: Black Women in Politics 2018.” Since 2013, eight Black women have been elected mayor in the 100 most populous U.S. markets in cities like Baltimore, Maryland; Washington, DC; Baton Rouge, La. ; Charlotte, NC; Atlanta, Georgia; and New Orleans. Black women make up 3.6% of the US Congress. HARLEM gentrification and its discontents: Three African-American women were racially profiled at the Angel of Harlem Bistro, located at 2272 Frederick Douglass Boulevard, in February. The manager accused the women of frequenting the site a week earlier and leaving before paying the bill. The women denied any wrongdoing, admitting that evening was their first there. Manager pulled out video on his phone to prove that the women were the ones on his screen. After viewing cell phone video, the women said that there was no resemblance between them and the offenders. They told the white manager that “we do not all look alike.” He got testier, snatched menus from them and pushed one of the women outside. Last month, the NY Daily News reported that the three women filed a lawsuit against the establishment. When asked to comment about the incident, owner Anahi Angelone would only say “there are two sides to every story.” Angelone also owns other Harlem restaurants: Corner Social, Cecil’s Steak House and Minton’s. Robyn “Rihanna” Fenty, Barbados-born, world-class music diva dons the cover of the June issue of Vogue magazine. The 11-page spread does not disappoint. It includes hot topic entries like her soon-to-be-released Hollywood movie “Ocean’s 8;” her alleged billionaire Saudi boyfriend and the broad reach of her philanthropic endeavors. However, the most impressive story info is about Rihanna, the hands-on CEO of a beauty and fashion empire, including FENTY BEAUTY, a makeup line in collaboration with Kendo, an LVMH incubator which grossed $100 million in 40 days, and her SAVAGE X FENTY, a new lingerie line in partnership with online retail behemoth TechStyle. NEWSMAKERS Dear Geminis, Happy Birthday: Beverly Alston, Vicktoria Bodin, Sherry Bronfman, Roslyn Woods-Cabbagestalk, Angela Clark, Diane Clear, Destiny Horsford, AUDELCO Awards director Grace Jones, P.R. guru Donna Walker-Kuhne, Shaunte Martin, FILM/TV executive Mamadou Niang; Wadleigh Scholars Program architect Edouard Plummer was joined by WSP alum who helped him celebrate his 90th in Maryland; Congressman Charles Rangel, scholar/author Edgar Ridley, Karen Saltau, Kai Sidberry, fine art photog Ming Smith, President Donald Trump, Patti LaBelle, Bob Tate, world-renown chef Pierre Thiam and Kanye West. RIP: My brother, New Yorker Rocky Horsford, 67, died at his Bronx home on May 18. He was the youngest of four children born to Caribbean immigrants Lillian and Victor Horsford from the Dominican Republic and Antigua, respectively. He married his childhood sweetheart Karen Wingate and they had nine plus one children. Their daughter, Gloria Torruella, died last December. He cut his teeth early in entrepreneurial projects as a realtor, grocer, investor in entertainment principals like Chris Brown and Omega, a Dominican vocalist. He owned and managed a plumbing contracting company and a general contracting company. He was a globe-trotter, oftentimes marrying travel to business opportunities in Ghana and Nigeria; and possibly to all but a few of the Caribbean Basin countries. He is survived by his wife Karen, nine children and close to 30 grandchildren and great-grandchildren. Funeral arrangements have been finalized. 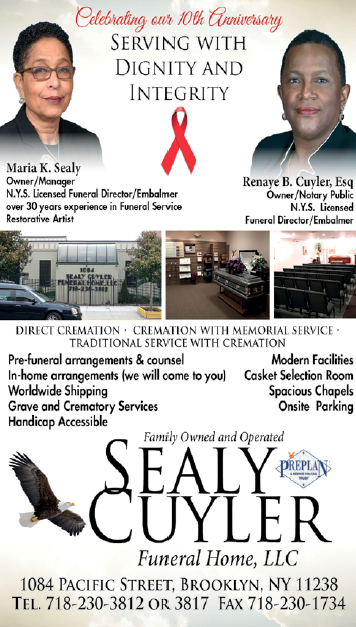 The Viewing will be held on Friday, May 25th from 4 pm to 7 pm. The funeral service will be held on Saturday, May 26th at 10 am. Both will be held at Mt. Olivet Baptist Church, located at 201 Lenox Avenue at 120th Street in Harlem.